From today, Uber riders across the UK can access a range of guided meditation exercises during their journeys. 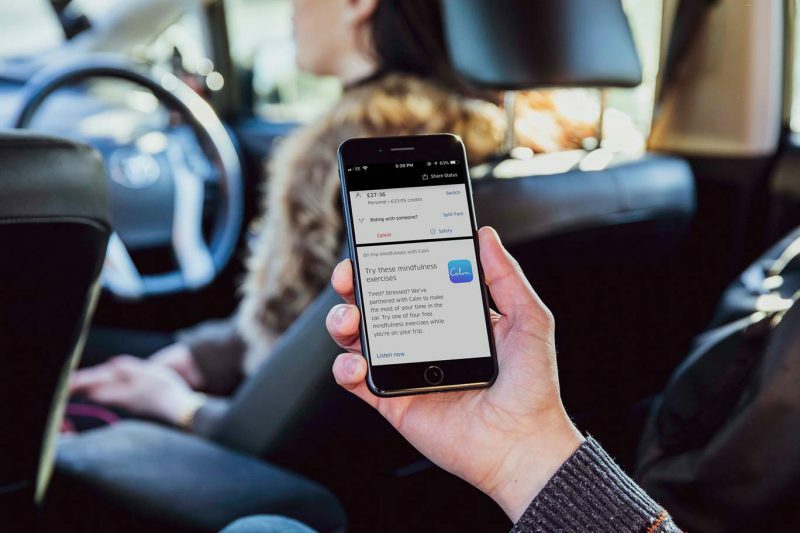 In collaboration with CALM, the taxi app has released four exercises of varying duration times to fit in with any trip; lasting 3 minutes, 5.5 minutes, 12 mins 20 seconds and 30 minutes. Drivers will also be able to stream a short clip to help them relax while waiting between customers. An Uber spokesperson said around 54% of its riders use their time in an Uber to scroll through emails, social media and the news on their smartphones. Instead, Uber wants to encourage passengers to use that time to relax and unwind. The meditations will be available on the Uber app for the next month. Uber users can also claim a 30-day free trial of Calm by heading to blog.calm.com/uberuk.